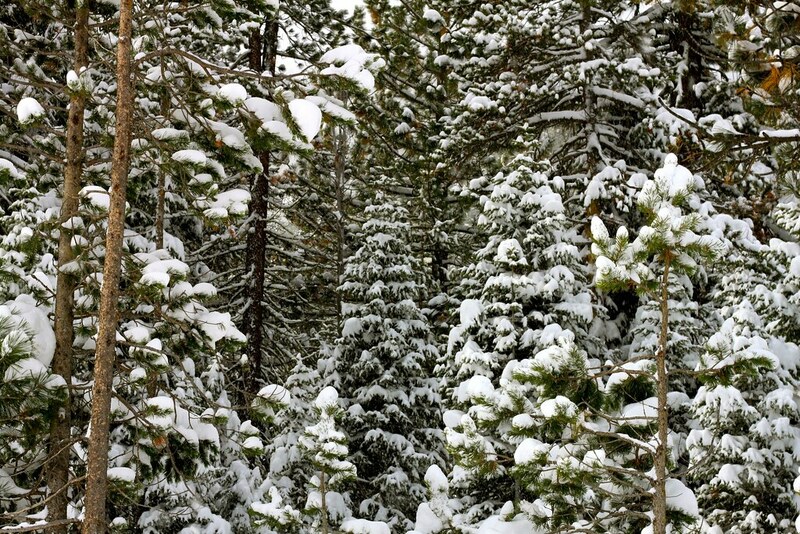 Tahoe finally got some snow this week, and according to forecasts, there’s more on the way. Thanks Snow Miser! 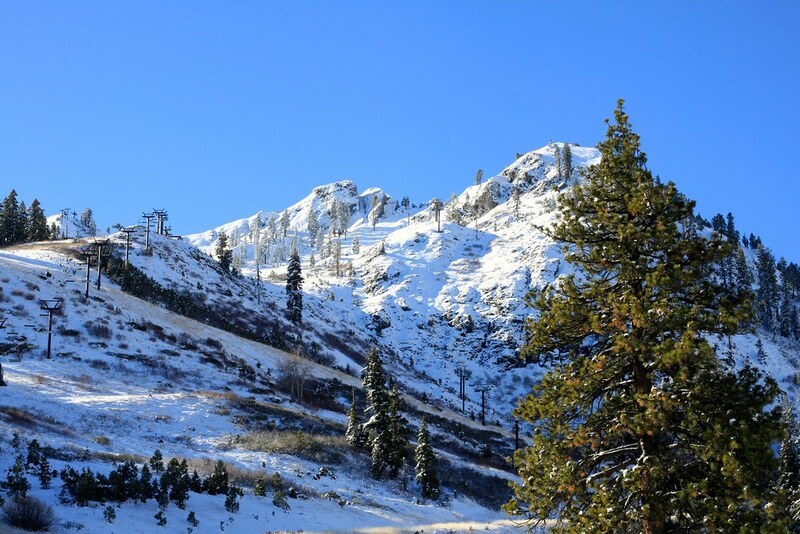 The Lake Tahoe area is home to numerous areas and resorts for winter fun, but the one I go back to repeatedly is Squaw Valley. 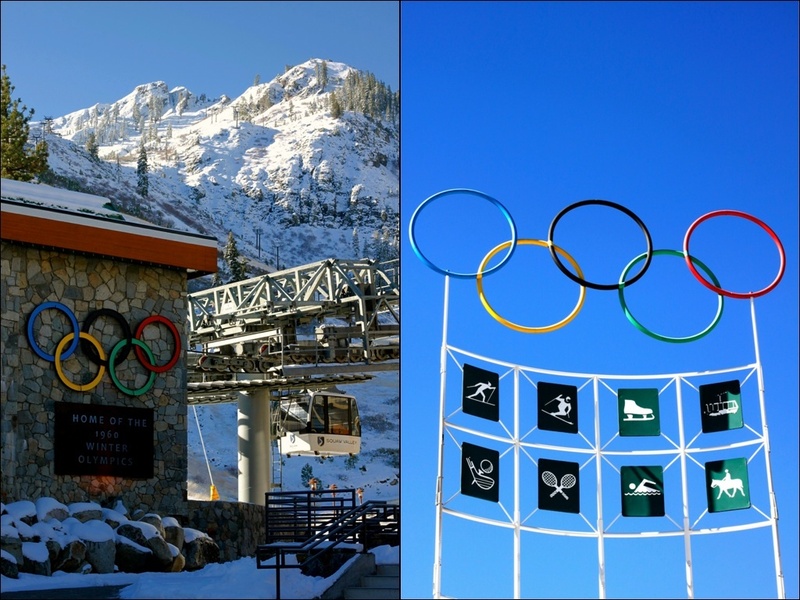 Its steep terrain famously played host to the 1960 Winter Olympics and has yielded the nation’s skiing elite. 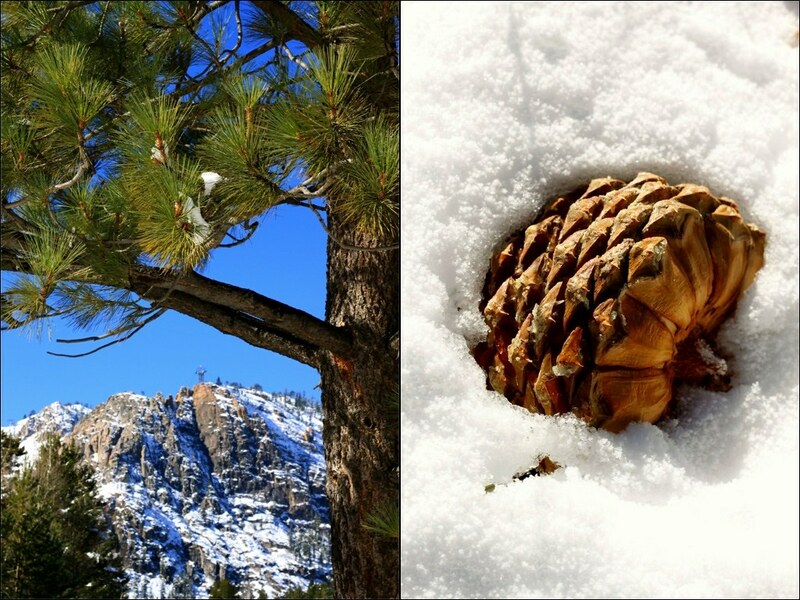 Add to that a striking alpine setting and some of the best food in Tahoe. Nestled at the base of six towering granite peaks, the toy-like mountain village is an inspiring sight from the road leading in. Plus after a recent merger with nearby Alpine Meadows, one lift ticket gets you two resorts for a combined 6,000 skiable acres. Translation: the largest winter playground in the U.S. The steep, chute-filled runs off the legendary KT-22 peak seem endless. But on a powder day, so will the lines. Try nearby Red Dog which is usually more sedate. Or set your alarm and get the mountain to yourself with Squaw’s Dawn Patrol: $29 buys you a full hour before the weekend crowds swarm. Craving truly pristine snow? Hop the free shuttle to Alpine Meadows and ski the open backcountry brimming with hidden powder stashes. Everywhere you turn, there are reminders that this is Olympic-caliber terrain. But who knew Squaw was ideal for beginners too? 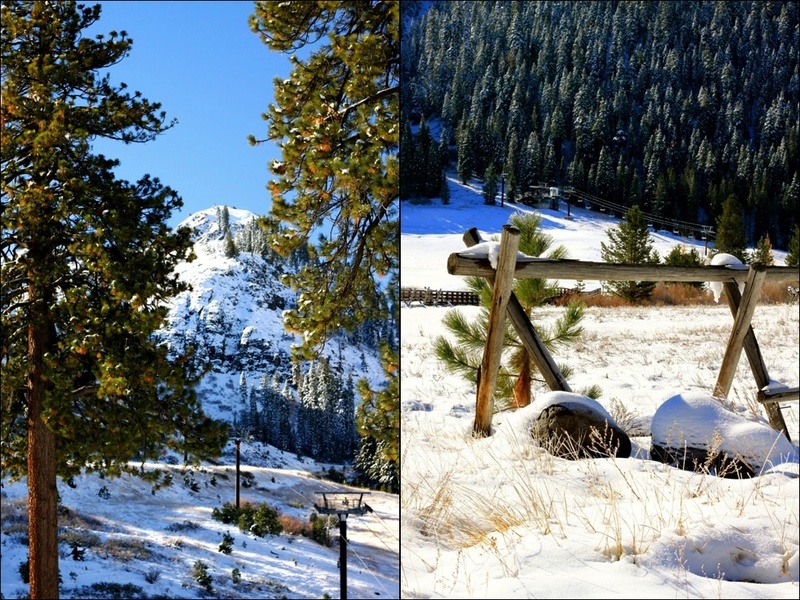 Instead of being stuck in parking lot snow, kids and never evers can frolic at mountaintop Bailey’s Beach and enjoy the same Sierra vistas as everyone else. 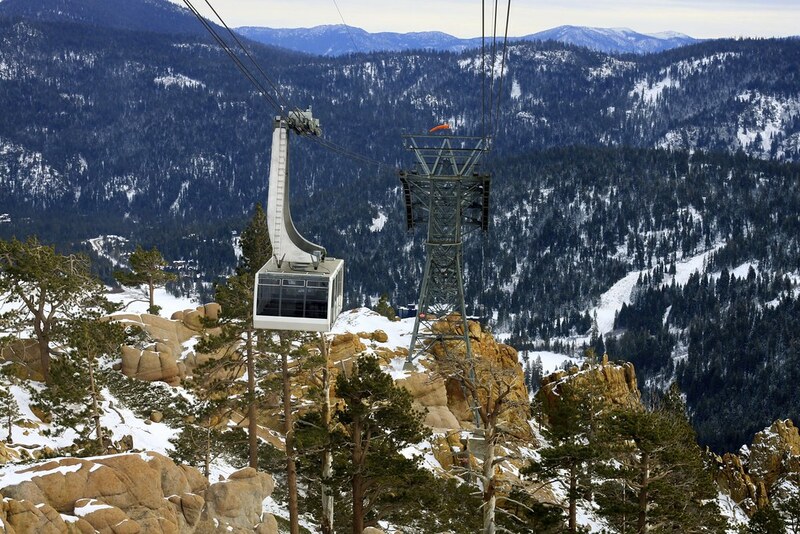 Gliding over dramatic snow-capped peaks aboard the Aerial Tram feels like a scene from a 60s Bond flick. 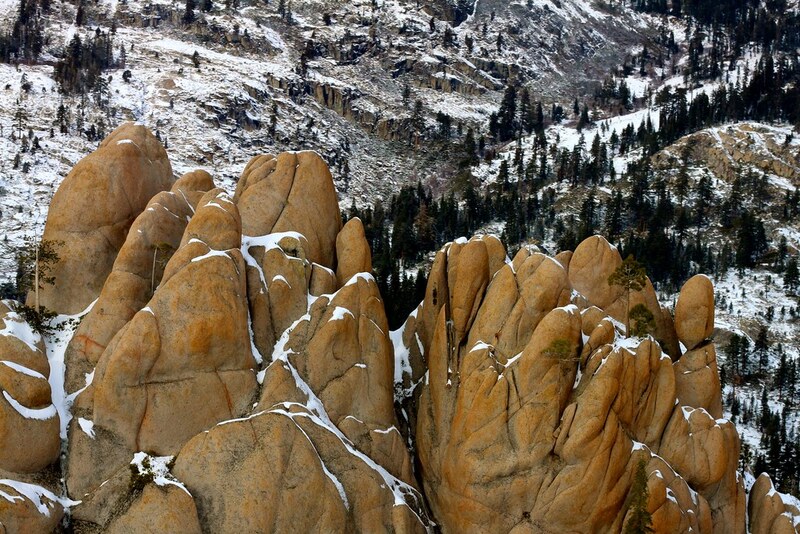 You may recognize the distinctive sandstone rocks below: Disneyland modeled their Big Thunder Mountain ride on them. 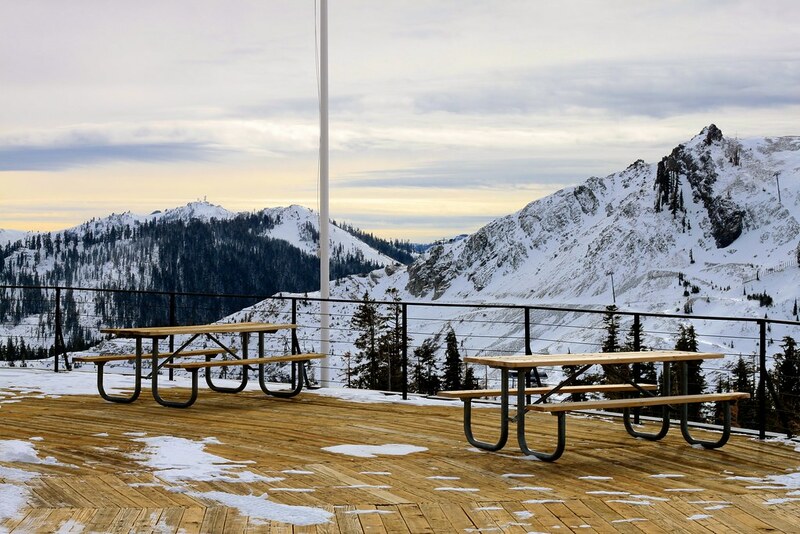 Eventually you’ll arrive at High Camp, a panoramic alpine summit that sits at 8,200 ft. elevation and is the scene for more winter play. I love it up here. Vintage fans will appreciate glimpses of 1960s architectural splendor. Lace up for the Olympic-size ice rink or strip down for the hot tub scene that heats up in March (when it opens for the season). 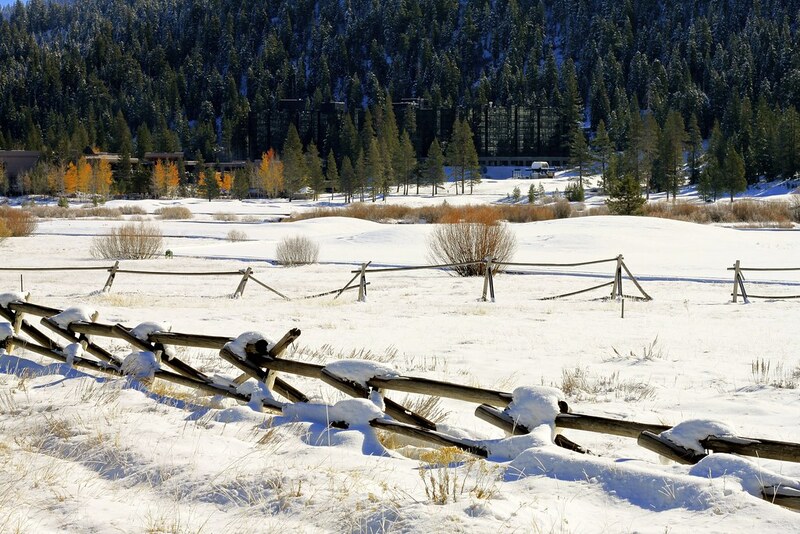 Back on the valley floor, an expansive meadow ringed by snow-dusted aspens is the stage setting for snowshoeing, cross-country skiing and tubing (check Resort at Squaw Creek’s Nordic Center for rentals). And don’t pass up the opportunity to be zipped around by ten Alaskan huskies on a dog sledding tour with Wilderness Adventures. 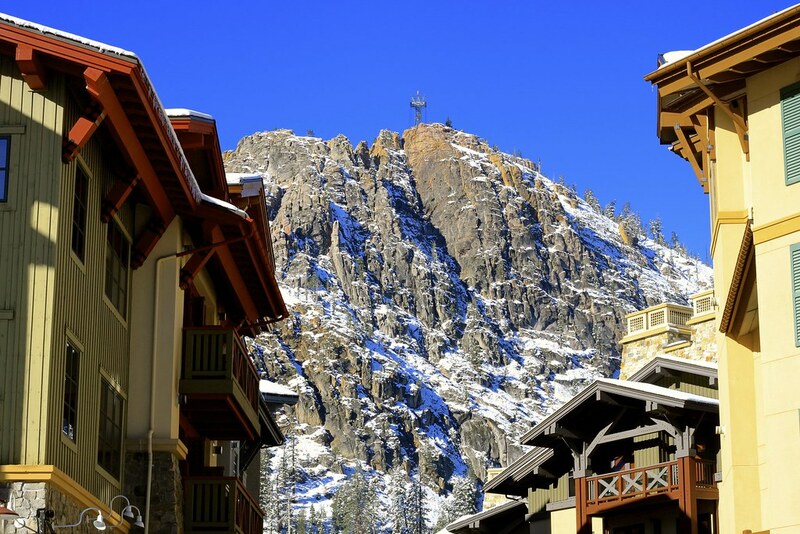 One part alpine village and one part Epcot, the Village at Squaw Valley is an atmospheric outdoor marketplace with restaurants, bars, boutiques and ever-present views of Tram Face, the striking mountain cliffside with less-than-cuddly name. 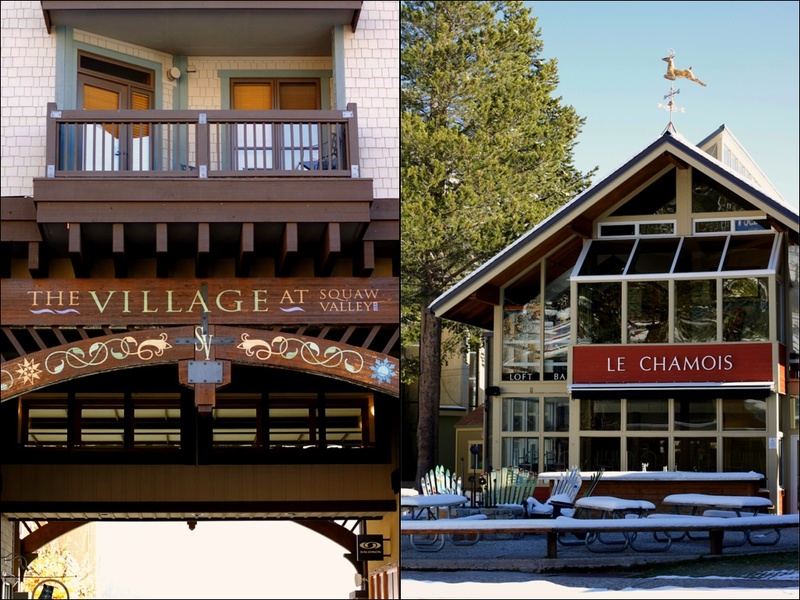 After the slopes, most of the mountain heads to the après-ski mecca and adult kegger known as The Chammy (née Le Chamois). Sneak away to dive bar extraordinaire Cornice Cantina to swap stories with the locals over pints and raucous mash-ups. They’re famous for their $1 PBR “shifters,” but don’t fret: they’ve got the good stuff too. Feeling more Burgundy than Bud? 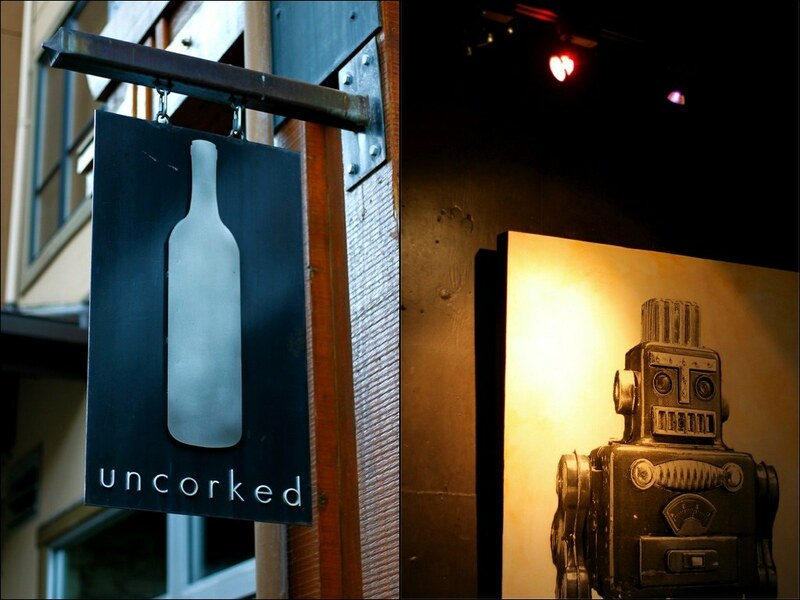 Sample a flight at Uncorked. Owner Kali has created a soulful wine bar and retail shop that’s a warm haven in the Village. Settle in with a cheese plate or snag a bottle to take to dinner. When you’ve had your fill of the area’s pub grub, Plumpjack Café is your lifeline to seasonal Cal-Med cuisine. 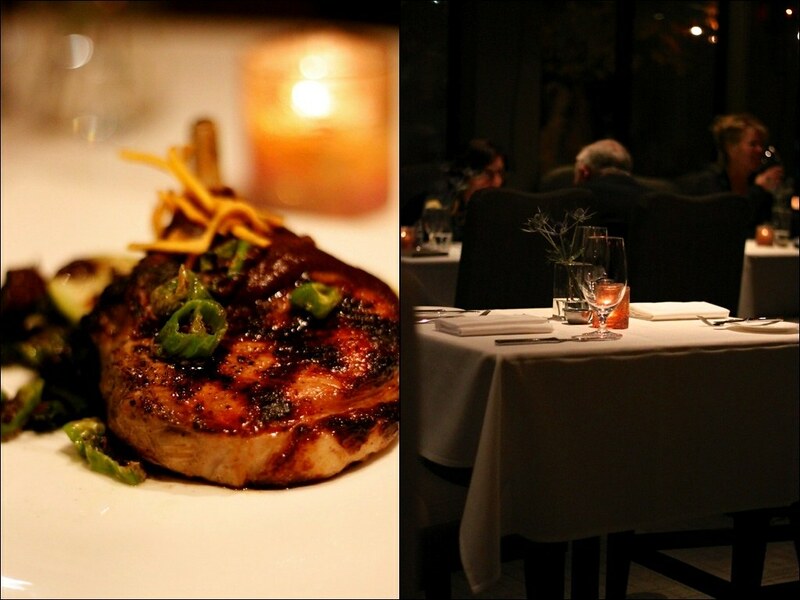 Enjoy boldly-flavored dishes like a thick, savory grilled pork chop peppered with padrons. And because it’s PlumpJack, the killer wine list will surprise no one. No time to change your bibs? Hit the adjacent lounge for craft cocktails and a more casual menu served around a warming firepit. Popular sushi spot Mamasake encourages you to get raw at Squaw. Creative rolls, large cuts of nigiri and an assortment of fusion comfort foods are a welcome break from the ubiquitous burgers and pizzas. Projection-screen ski flicks and a nice sake list keep the vibe lively. 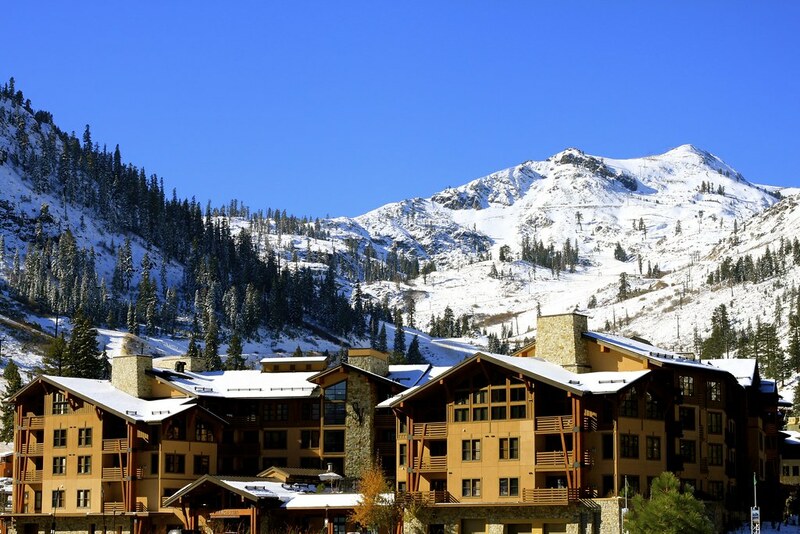 Mere steps from literally everything, the newly-renovated condos at The Village at Squaw Valley serve as convenient and good-looking crashpads. 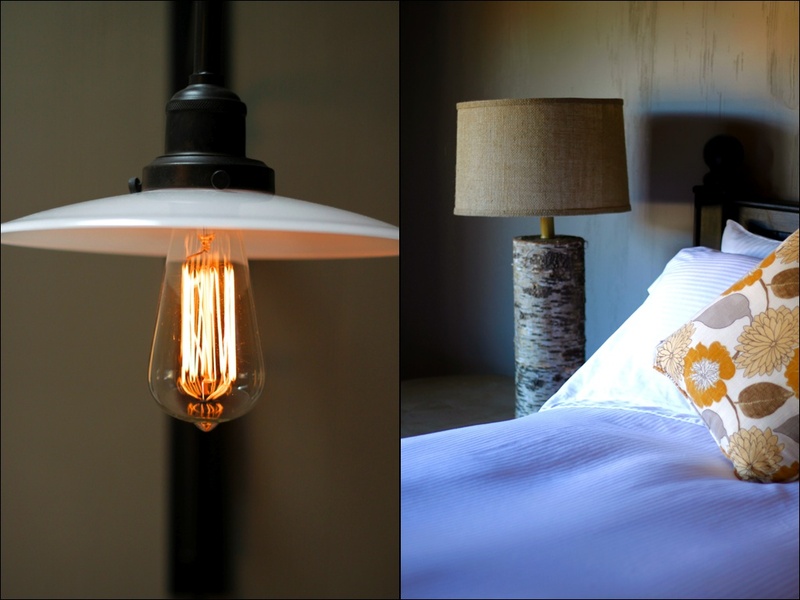 The comfy multi-room suites come complete with fireplace, flatscreens, private balcony and a full kitchen. Note: the rooms facing the slopes have awesome views, but can get noise from snow machines that work through the night. If you think you’ll be bothered, ask for a high floor and/or a room facing the parking side. 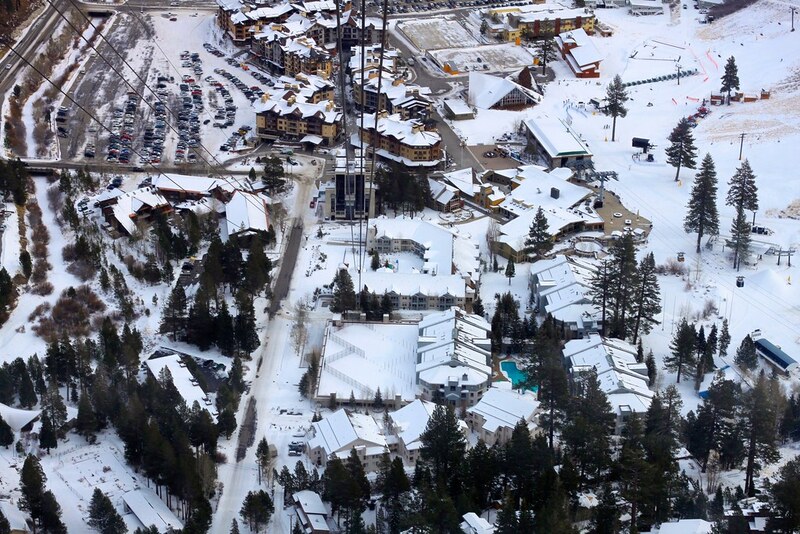 Just across the way is the PlumpJack Squaw Valley Inn, a stylish, boutique property with a modern lodge motif. You can read a full Weekend del Sol review here.